Crews with the Arkansas Department of Transportaion this week are installing signs across the state to remind motorists of proper usage of the left lane. According to a news release, Arkansas Code 27-51-301 was passed by the 89th General Assembly in 2013 which mandated signage warning drivers of a state law that prohibits motor vehicles from being operated continuously in the left lane of a multilane roadway whenever it impedes the flow of other traffic. Slower traffic should keep right and allow passing vehicles use of the left lane. 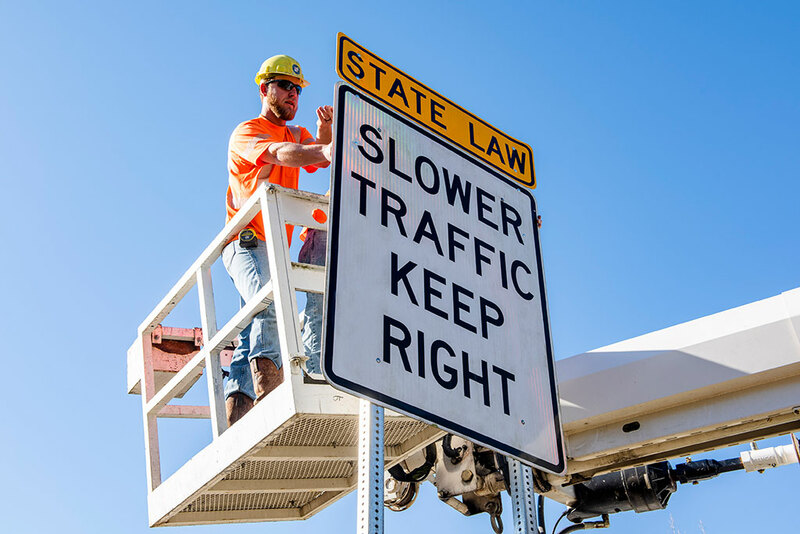 The new, more aggressive signs include the words “State Law” and are being placed above all existing “Slower Traffic Keep Right” signs that are already in place on multi-lane highways. Officials said about 600 signs will be installed in total.